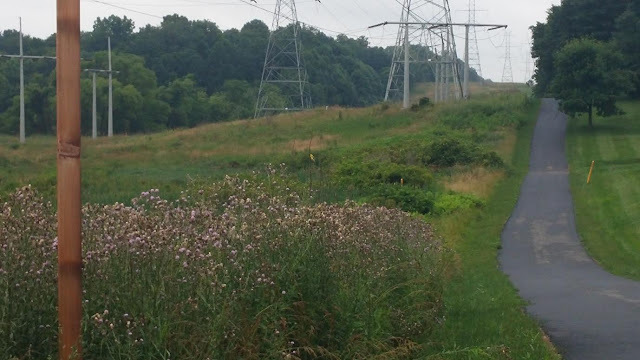 "This Maryland County is located west of Baltimore and has the fifth lowest poverty rate of the nearly 1,000 counties in our study. 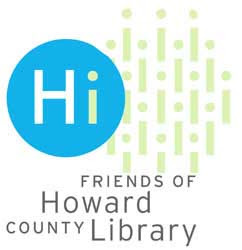 Just 4.6% of Howard County’s population lives below the poverty line. Howard County also has some of the best public schools in the country. The Howard County Public School system’s 2014 graduation rate of 92.85% is well above both state and national averages. While the quality of public education was not factored into our analysis, it is likely an important consideration for anyone thinking about moving to or buying a home in Howard County." County Exec Kittleman touts the news here. Today is the last day to register for the Howard County Housing Moderate Income Housing Unit Program. 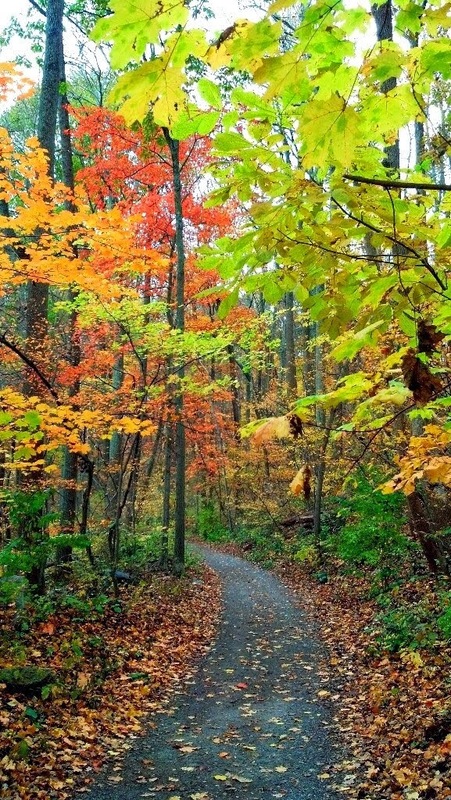 Best way to snag a moderately priced home in Howard County. Obtaining one of these moderately priced homes would anyone happy. Often what is important in our County flies under the radar. I wanted to highlight one of those areas with the awarding of $450,000 in grant funds last week to human service agencies in Howard County. United Way funding is targeted to agencies serving some of the most vulnerable residents of Howard County. Agencies such as Grassroots, Community Action Council, Bridges to Housing Stability and Making Change are supported by United Way grants. One program highlighted in this round of funding is the grant to Family and Children's Services to continue to work with family at risk of being homeless. While we live in an affluent County it is important to recognize that the cost of living in Howard County makes it difficult for many low wage workers to live in Howard County. This program works to support and link a number of Howard County families with County resources to stabilize their housing situation. 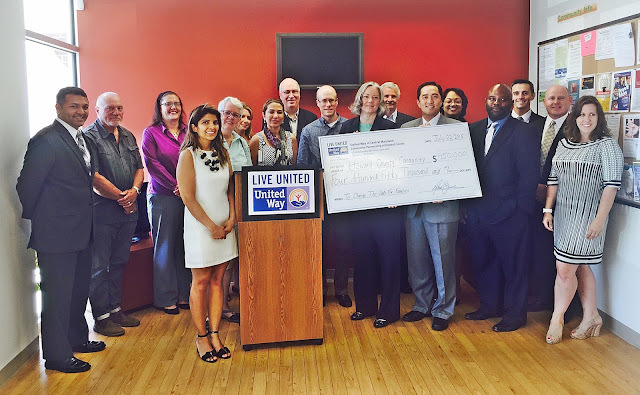 This and other United Way programs help make Howard County a good place to live for many families. If you would like to contribute to United Way's efforts to help Howard County families click on this link. Where have all the bees and butterflies gone?? We have noticed something strange the past two years with our garden. Our squash plants flower but we haven't gotten any squash. Last year we thought maybe the ground was wearing out but this year we fertilized and put in some new top soil. But again no squash. The mystery deepens. 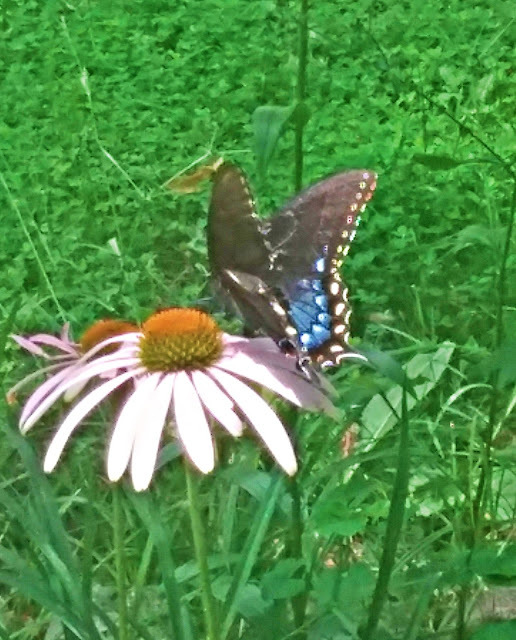 While photographing the blue butterfly above I realize that I have not seen a Monarch butterfly in a couple of years. I used to see them all the time in our yard and garden. Could our problem be with the loss of bees and butterflies to cross pollinate our plants? Doing some research I found this article in the Washington Post of the decline of the Monarch population. Probably even more important is the bee population decline. Seventy-five percent of our nuts, fruits and vegetables are pollinated by bees. If the bees disappear we will only be left with self pollinating foods like corn. The loss of crops that need the bees would lead to world famine in a way we have never seen. While there is controversy about what is causing the decline of the butterflies and bees the leading indicators point to pesticides. One pesticide class in particular has been suspected of being a cause and they are neonicotimoids. The interaction of pesticides to control insects destructive to crops and their negative impact on insects that pollinate our crops is one of those trade offs that frequently is recognized only after the destruction reaches a point of no return. Let's hope this doesn't happen with butterflies and bees. 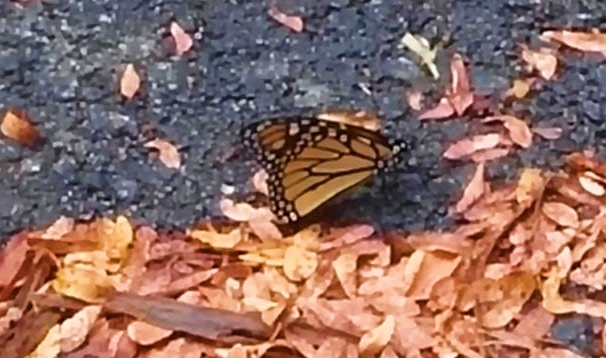 Call it a coincidence but after writing yesterday's blog I walked outside and saw this Monarch butterfly. First one in a couple of years. Something on the destructiveness of lawns. 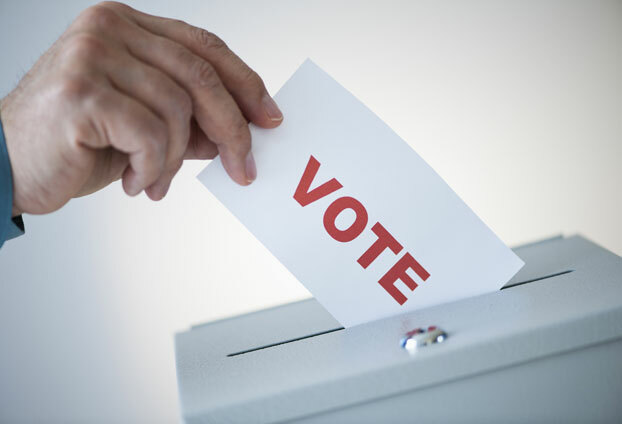 We all make assumptions about voting patterns based on the age of voters. We assume younger voters are more likely to vote Democrat and older voters more likely to vote Republican. These patterns don't necessarily hold when you breakdown the age cohorts more precisely. Baby Boomers are still more likely to vote Democrat even though they are becoming senior citizens and those born from 1960 to the late 1970's are more likely to vote Republican. Check out this reality at this link. You can slide the bar to any specific birth year to see how voters born in your year have been voting. At least they might let us stay. Somehow having a daughter move to Sykesville in the past year has caused me to go by the Baldwin Station restaurant regularly now. 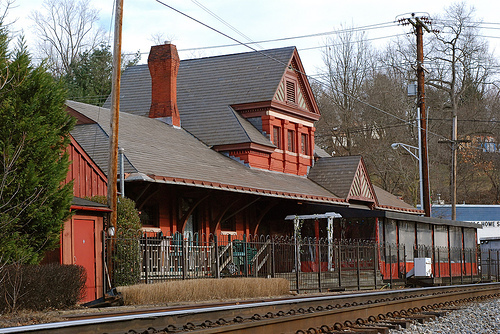 The old train station has been turned into an upscale restaurant by Stuart Deary. I used to work with Stuart many years ago when he did home repairs for senior citizens. It is strange to see how the young man with the long hair in a pony tail has aged into an older distinguished looking business person. So seeing a Groupon sale for Baldwin Station recently I decided it was worth another visit. This is a restaurant that it is easy to drop $100 for dinner for two with no drinks. Started off with the stuffed figs for an appetizer but found the goat cheese overwhelming the sweetness of the figs. Wouldn't recommend. I had the Fettuccine Del Mar like what is pictured above. This is a dish with seafood in a pomodoro red sauce. Good but the sauce was a little too sweet. My dining partner had a citrus and ginger grilled Mahi Mahi like what is pictured above that was very good and I would recommend. My recommendation is to call the restaurant and find out when they have short ribs. They are GREAT! 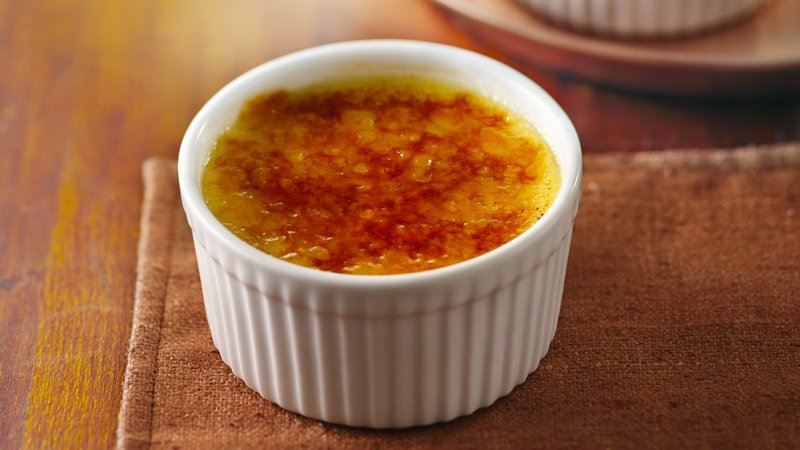 Having the creme brulee for dessert was a great way to top off the meal. Melanie Safka performed this song "Look what they've done to my song" at Woodstock back in 1969 and has a new update version with Miley Cyrus that is pretty good. This week Annie E. Casey Foundation came out with their annual Kids Count report that evaluates the status of children in the United States. As the chart above shows California has the highest percentage of children living in poverty followed by Nevada, Arizona, Texas, New York, Louisiana, Alabama, Georgia and Arkansas. Nationally the percentage of children living in poverty has risen from 18% to 21% from their report. It seems that economic recovery has not reached many of the families living below the poverty line. Another factor that has been highlighted in the report is the increase in the rate of drug abuse in the younger population. In most communities (especially in communities with high rates of poverty) the availability of drug treatment programs is inadequate for the number of people needing treatment. Closer to home, Maryland falls in the low to mid range on most well being factors. Maryland ranks 11th overall, 8th in educational achievement, 11th in health status, 12th in economic well being and our lowest at 17th in family and community well-being. While we in Howard County are significantly above the national average for the well being of our children (ranked 17th best place in America to raise a family by Forbes Magazine) other parts of Maryland don't fare as well. We are as usual a state that has areas of high income and educational achievement (Howard and Montgomery) and areas of poverty and low educational achievement (Baltimore and the Eastern Shore). The well being of our children isn't good on a global scale when you look at a report from UNICEF that looked at 29 developed countries in the world. The United States ranked 27th out of the 29 countries rated for childhood well being. Much of that was our high rate of child poverty and lack of health care. I am sure that the Mayor of Baltimore, trying to stem the rise in homicides, would gladly change places with the Howard County Executive where the big controversy is whether sugary drinks should be sold in County buildings. But when you look at our local controversy the public health comparisons can be viewed as having some commonality. The shock of sudden death of young people by homicide is dramatic in a way that death by lifestyle choices can never be. But in public health terms any preventable death is equal in the need to take actions to reduce the rate of death and health issues. While it is hard to clearly know how many Howard Countians die from drinking sugary drinks there is no doubt that lifestyle choices that include a high consumption of drinks and foods high in sugar can lead to significant health issues from diabetes to liver, heart conditions and even some cancers. Ask anyone in the health field about what brings patients in for treatment and you will probably hear a list of conditions caused by poor lifestyle choices from smoking, to drinking or diet. We have all become familiar with the public campaigns to address smoking and drinking many of which involve actions to limit and restrict those choices. Even the national elimination of trans fats started with New York City banning their use in restaurants and along with an education campaign. So getting back to the issue of sugar consumption in Howard County what is the right approach to address this public health issue---eliminating their availability or a public education campaign on the harmful effects of consuming too much sugar? How you answer that question probably identifies how you come down our local controversy. What I would hope would not get lost in the local political debate is that people on both sides of the issue agree that over consumption of sugar is harmful. Starting with that agreement I would hope that people on both sides of the issue would recognize that a combined effort to address the public health issues of sugar consumption, along with other bad diet choices, is something that can be better addressed with a comprehensive approach to the issues. It is also important to know that any significant change has at least these qualities. Change only happens when you approach a problem in a manner that is comprehensive, intensive, flexible and sustainable for the long term. 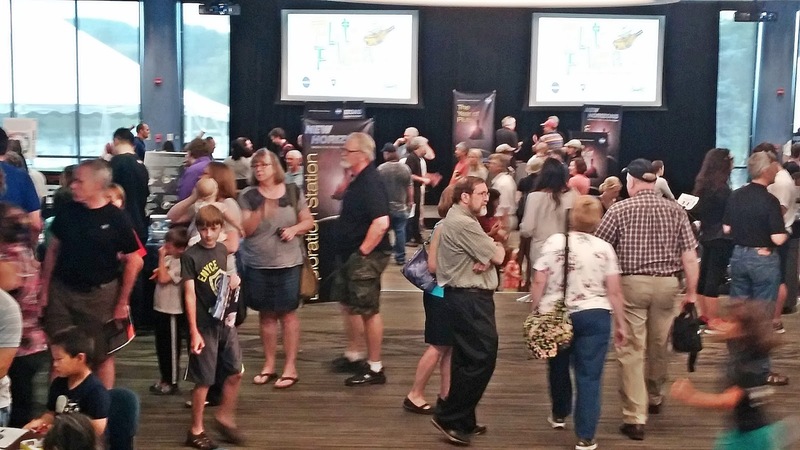 There was a great deal of excitement this past week as APL became the center of the world for planetary exploration. Over 400 news outlets had requested media passes from APL. 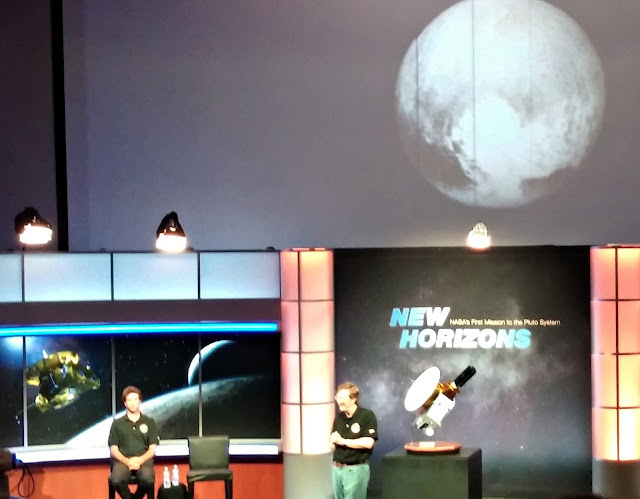 To celebrate the New Horizons successful flight to Pluto APL hosted a "Plutopalluza" this past Saturday. Above Mission Leader Alan Stern explains the project for an audience of over 400 people on Saturday. The model of the space probe is shown while a scientist talks about the different scientific tasks to be performed. The image above of Pluto shows the planet (OK dwarf planet) in detail that is amazing. 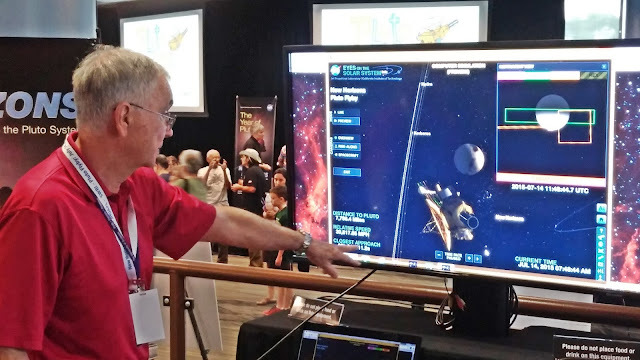 A number of the mission scientists had demonstrations of their work on the mission. 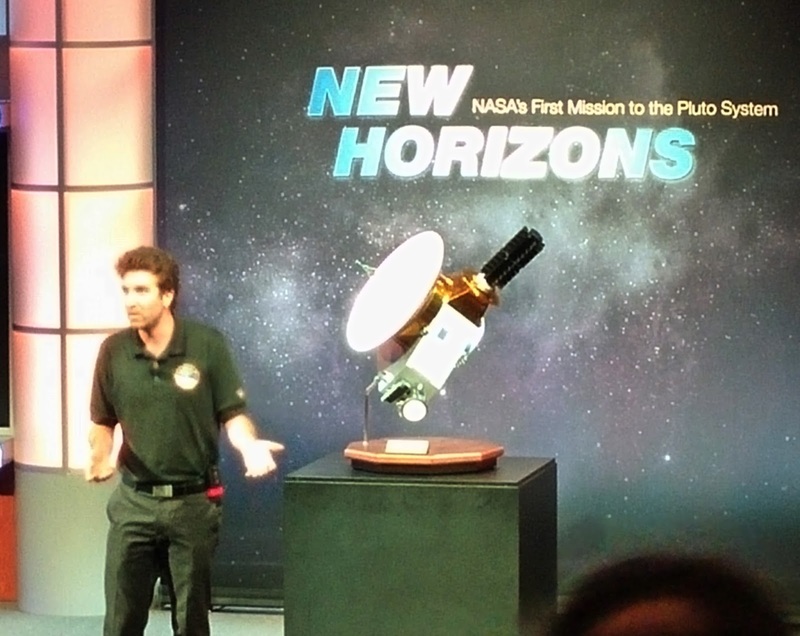 Funny but true story about Pluto. When I was in elementary school we had to do a book report on a science book that we read. I went to my local small town library where all the books were donated and found a book on the solar system. I wrote my report and when the paper was returned the teacher took 5 points off because she said there were 9 planets and not 8 as I said in my report. I told her the book I read said there were 8 planets. I still had the library book and looked at the copyright date. Unfortunately it was written in 1910 before Pluto was discovered. Now that Pluto has been downgraded to a dwarf planet I want my 5 points back! This year 25 Howard County restaurants and 2 from Baltimore are participating in Howard County's Restaurant week. 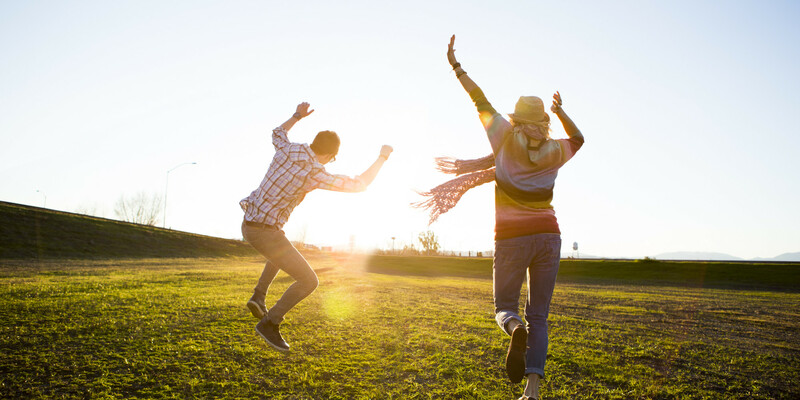 Running from today until August 3rd the choices range from $40+ at Rams Head in Savage to the more affordable restaurants like newly reopened Coho's and Seasons 52 at $20. There are even a one at $15 at the Lisbon Town Grill in the Citgo Auto Station. By the way the Lisbon Town Grill is worth a visit after pick your own at Larriland. Here is the entire list. Cook pasta in salted water according to directions listed on package, reserve 1 cup pasta water before draining pasta. Drain water (reserve 1 cup) and return pasta to pot. Set pot over medium-low heat and add olive oil, lemon zest, lemon juice, ricotta, 1/2 cup hot reserved pasta water and parmesan and toss to evenly coat. Add in more pasta water as desired to thin and season with salt and pepper to taste, cook and toss, about 2 minutes, until ricotta is heated through. 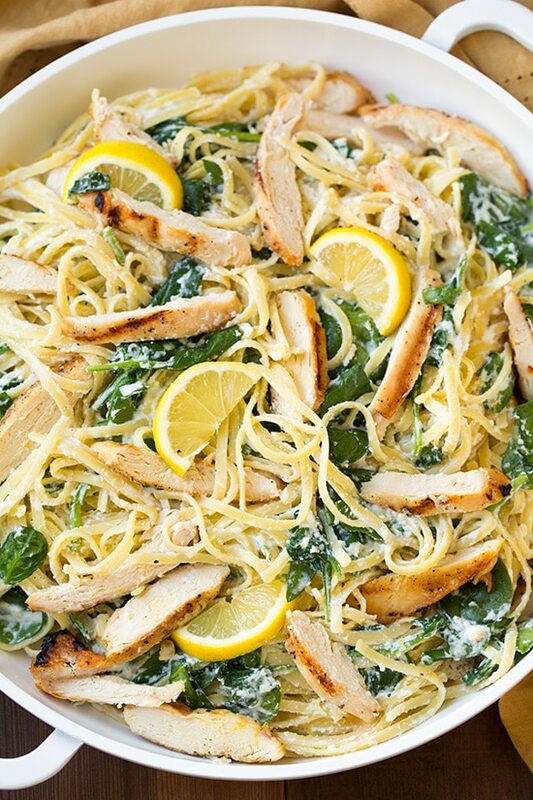 Toss in spinach and grilled chicken. Serve warm topped with more parmesan if desired. I added a couple of teaspoons of real butter to the warm pasta to cut some of the dryness of the dish and who doesn't think that butter makes anything taste better? Readers of this blog know how I have a fascination with large mountains of snow that build up in large local parking lots. My favorite local mountain of snow is in the parking lot by the Target store in the Columbia Crossing Shopping Center that I have called "Mt. Target." I often drive by the parking lot after a big snow storm to see how high the "mountain" pictured above has grown and with warmer weather how long it takes to disappear. But our local snow mountains pale in comparison to the one that was created in Boston this past winter. 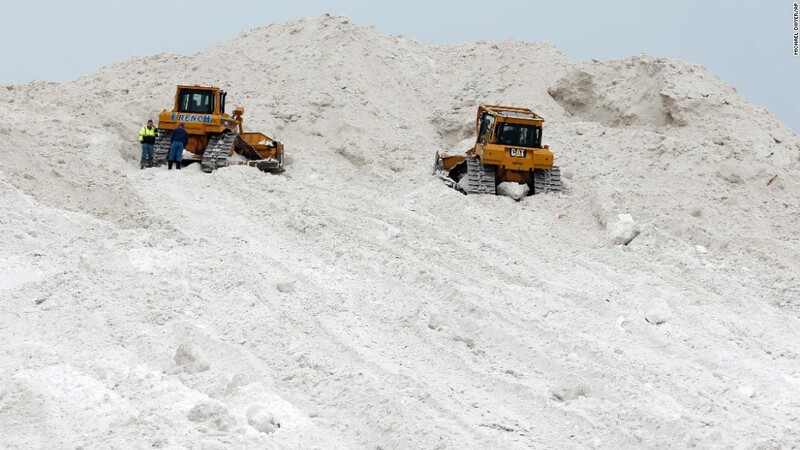 This mountain of snow built from the snow cleared from Boston streets lasted through the Spring and summer. As you can see it began to look like a pile of dirt after a time. Amazingly this snow pile only melted completely on July 13th. Guess winter is now officially over in Boston. 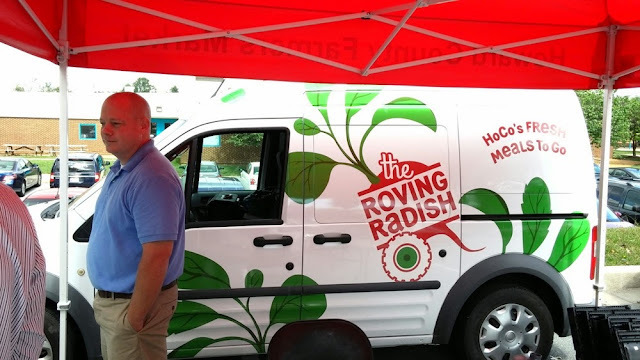 I have blogged before about an innovative County program called the Roving Radish to deliver affordable nutritious meals to low income County residents. The program is designed to deliver 2 nutritious meals to a low income family of four for $10 or less than a meal at a fast food restaurant. "The Roving Radish promotes local farms and healthy eating. Each week from spring to fall, the Roving Radish program buys regionally grown food straight from the farm and prepares meal kits that are easy to cook since most of the prep work has been done. The meal kits include the ingredients needed to make two dinners, each feeding four people. 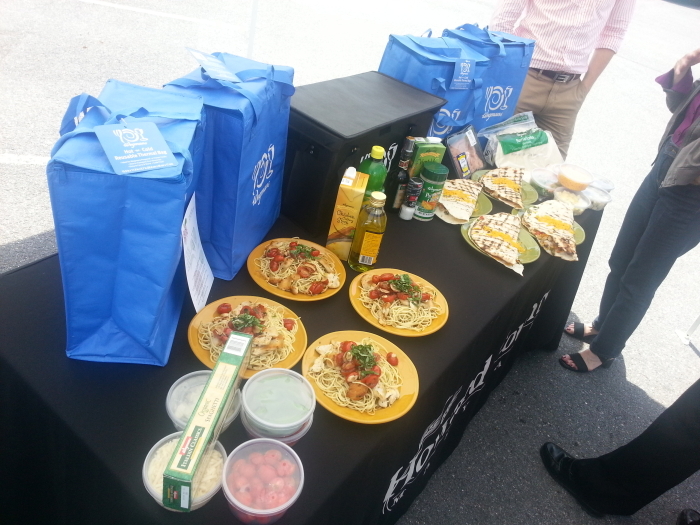 The meal kits are available for purchase to all Howard County residents and are offered at a discounted price to those in need. For more details visit RovingRadish.com. Volunteers are needed to help prepare the meal kits. Volunteers wash and prepare vegetables and assemble kits. Volunteering with Roving Radish is best for adults, but minors age 15 and up can participate with a parent's permission. Younger children are only allowed if accompanied by a volunteering adult. Volunteers who help for more than 4 hours in a week receive a free meal kit!!! The Roving Radish meal kit prep is done in Glenwood, MD at the Old Bushy Park school. 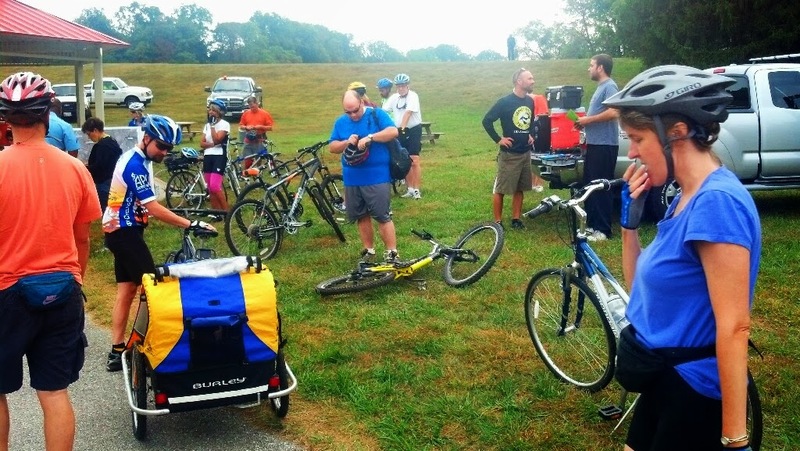 To sign up, visit hocovolunteer.org and click on the Roving Radish box on the front page. All volunteers must fill out the on-line application and make an account on the hocovolunteer.org website. The on-line application is short, we promise. You can then sign up directly for a shift. If you have questions, please email James Zoller at jzoller@howardcountymd.gov. " Columbia Association also is seeking volunteers, who will assist with traffic control, directions, registration, and acting as guides at places of interest along the route. Flexible shifts are available between the hours of 8:30 a.m. and 2 p.m. Training and a free T-shirt will be provided. For more information, email Columbia.Archives@ColumbiaAssociation.org or call 410-715-6781." Having recently booked some flights I had to again find out how the airlines have started using extra fees for every convenience they can create. Often cheap rates come with a lot of extra fees. Want extra leg room next to the emergency exits? That will cost you. Want to sit near the front of passenger section? Extra. Want to check a bag? Extra (Southwest being the only one that doesn't do this). Picking your seat in advance? Extra. Spirit Airlines even charges for carry on bags and a drink during the flight. This might make sense if the airlines weren't making record profits because of the lower fuel costs. Remember when the airlines justified the baggage fees because of the high cost of fuel. They didn't rescind the fees when the fuel cost came down. The fees don't end when you get to the hotel. Some hotels charge for a room safe even if you don't use it. Don't even think about taking a water from the room refrigerator as it will cost you $3. What to connect to the internet in your room? How about $10-$15 a day. Want an extra towel? $2. Want to have them hold your luggage until your check in time? $5 a bag. Ever look at the billing statement to rent a car? Seems like every jurisdiction has decided to tax the crap out of their out of town guests. Prepay a fill up fee so you don't have to find a non existent gas station near the airport? The advertised price per gallon has the hidden cost of automatically charging for a full fill up even if you left them a tank that needed only a couple of gallons. Want to have your rental insured? Most of our car insurance policies cover rental insurance but the rental companies try to scare you into buying their overpriced insurance. I have navigation on my phone but was charged for an in car navigation system on my rental car. Want the convenience of renting a car at the airport? Often the daily rate is $15 or $20 a day more than a rental site a few miles from the airport. With a long term rental it is cheaper to take a taxi from the airport to one of these off airport rental locations. Howard County resident Ned Tillman has written books that explore how we can preserve our natural resources. His books are a fascinating exploration of how we impact and many times denigrate our environment. Recently he was interviewed about his books. This You Tube video is worth 45 minutes of your time to learn a great deal about our environment. One area that he talks about in the interview is the area near Lake Elkhorn that has been turned into a wildlife habitat by BG&E. 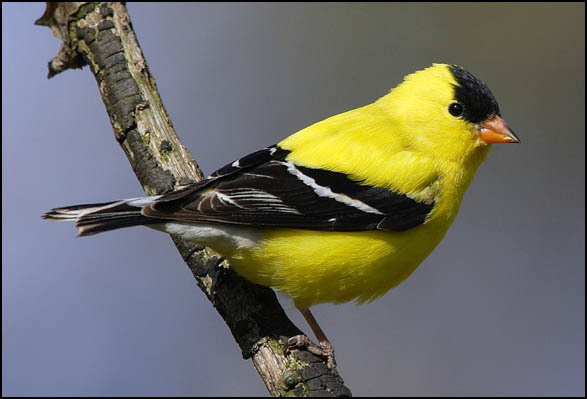 Goldfinches are commonly seen in this area along with Red Winged Blackbirds. "The crime rate on the small Hebridean island of Canna, Scotland, skyrocketed overnight this week, when thieves looted a shop that had used the honor system. Locals say it's the first theft on the island in decades. The crimes — which included the theft of six woolly hats — are believed to be the first on Canna since a wooden plate was stolen in the 1960s," reports Scotland's STV. The Canna Community Shop is next to a pier; it was left open to let fishermen get what they needed overnight. It's run by the island's community trust, which says the shop will now be shut down at night." Expecting people to be honest is a tricky thing. I remember visiting Zurich Switzerland and using their trolley system to get around town. You brought a ticket at each of the trolley stops for your ride. I was confused when no one ever took your ticket on the trolley. I finally asked the manager of the hotel I was staying at why they never take my ticket. He looked surprised and asked me "Why would anyone ride the trolley and not buy a ticket?" I didn't explain to him that any transit system in the US that used the honor system would go bankrupt very quickly. We live in a fairly safe suburban community. But reading the crime log in the local newspaper does reinforce the idea that locking our doors and being careful in shopping areas late at night just makes sense for us. How many times have you returned to your car just to make sure you locked your doors. I know I find myself doing this all the time. All of this makes me envious of places like Zurich and that small Scottish town that still has a working honor system. A couple of weeks ago umpiring a softball game at Centennial Park the game was interrupted by the sound of breaking glass. Someone had smashed a car window and stolen a cell phone. This park unfortunately has more than their share of this type of crime. Much of the parking lot is not visible from the playing fields and this fact makes it more likely to be targeted by thieves. Just a reminder that even in our area thieves are cruising our parking lots and we should never leave anything of value in view in our vehicles. The isolated parking area of the Wincopin Trail area off Vollmerhausen Road has too often been a location of smash and grab incidents. Parks and Rec has installed some security cameras to try to address this issue. Personally the only crime I have experienced in 38 years of living here is having a car seat stolen from my unlocked car (guess I didn't learn my lessons from DC well enough) and having a car window smashed for some change I kept in the center console for parking meters. Two incidents in 38 years--I guess I can live with that. No one could do this any better. Watch his routine. 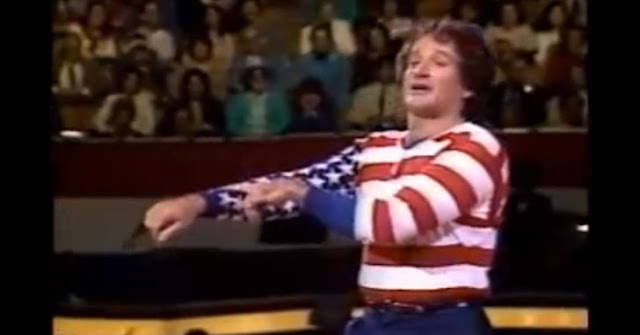 Happy Fourth. "Back then June, July and August were the movie industry's low season. 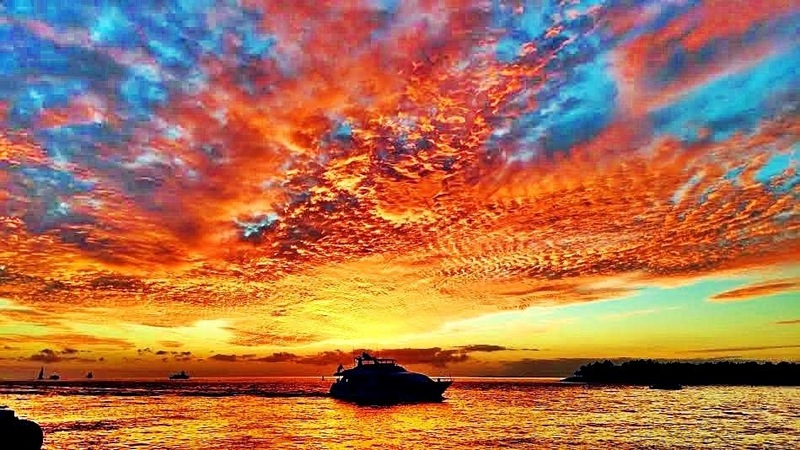 By day, everyone was on the beach; by night, eating, drinking, dancing and carrying on. Who wanted to go rectangle-eyed in the dark, watching movies? That was a winter thing." That all changed when the movie Jaws became a monster Summer hit in 1975. Now about 30% of the money films make each year occur in the 3 Summer months. For fans of Jaws the AMC channel has the movie on this evening (July 3rd) at 7:45. You Tube has the movie at this link. P.S. Guess we know it is officially Summer when we have the news talking about shark attacks like the ones in North Carolina this past week. You Tube video to take us into the holiday weekend. The NY Times recently had an article on income mobility for youth based on where you grew up. Not surprisingly Howard County came out better than most counties in the US. We were better than 73% of counties. Much of that reality is probably related to the vision of Jim Rouse and his efforts to have diversity in Columbia. This is not what happens naturally when development is left to most private developers. We were fortunate to have once had a developer with a social conscious in addition to an interest in turning a profit. As Columbia moves into the expanded development of downtown their is a need for someone to advocate for that social balance. Right now it is not clear if there will be a force to effectively advocate for that same balance. A Jim Rouse doesn't come along everyday . With the Supreme Court ruling upholding Arizona having a non partisan commission draw its election districts Maryland should now show itself to be a good government state and follow Arizona's lead. We are one of the most gerrymandered states in the country. For many of us in Columbia this our Congressional district represented by John Sarbanes. It has been called a "praying mantas" district because of its shape. Notice how thin lines are drawn between the separate parts of district. How could there be any logic in the drawing of the district other than to insure a safe Congressional district for a Democrat. And I say that as a Democrat who likes Sarbanes representing me in Congress. If the Republicans in Maryland are looking for a cause that many Democrats would support here is one good government cause for consideration.